If someone is performing a movement/exercise correctly, all you have to do is shut your mouth and smile. Do they need a different environment via a sensory change/coaching and cueing? Is this a professional error? Is this the right exercise for this patient at this time? 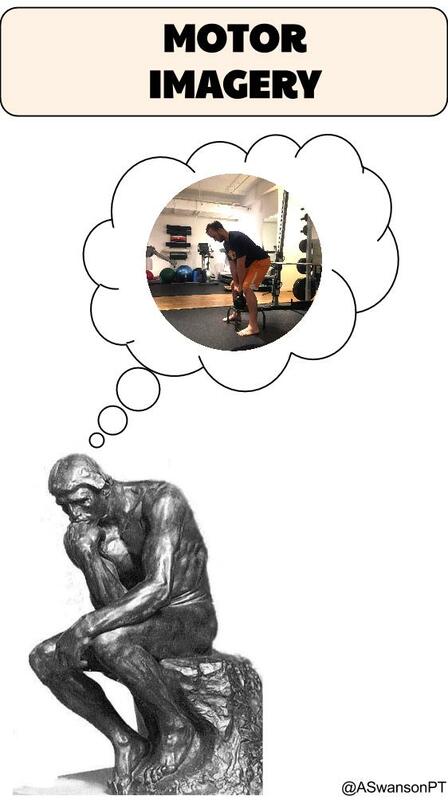 So if someone can’t perform the deadlift correctly, they either need some coaching and cueing (a sensory change) or they need a different exercise. Each of these categories are a change of the inputs from the environment. Each section has a specific attentional sensory focus. Below is a brief introduction to each type of cue. 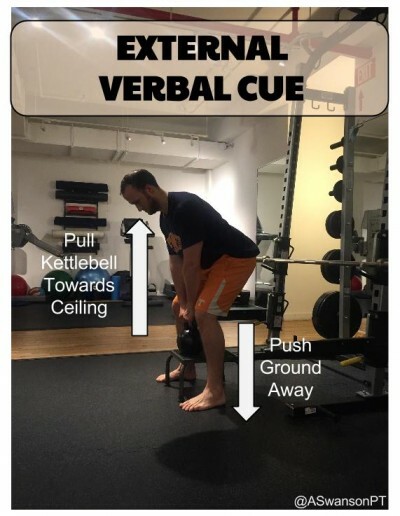 For a more in depth look at specific cueing types, stayed tuned for Parts III-IV in this article series. Verbal cues are by far the most common and one of the most researched coaching cues. 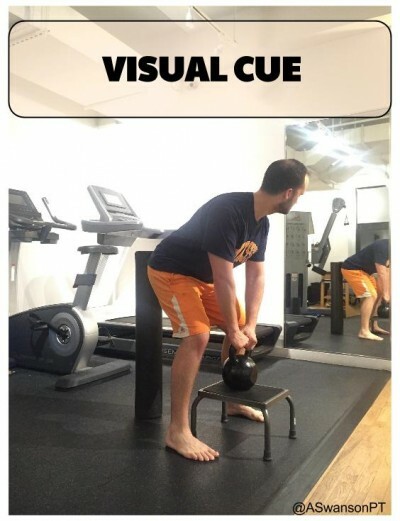 Visual cues are rarely discussed in the coaching realm. However, there are some interesting concepts in this category that can have a huge impact on your clients’ movement. 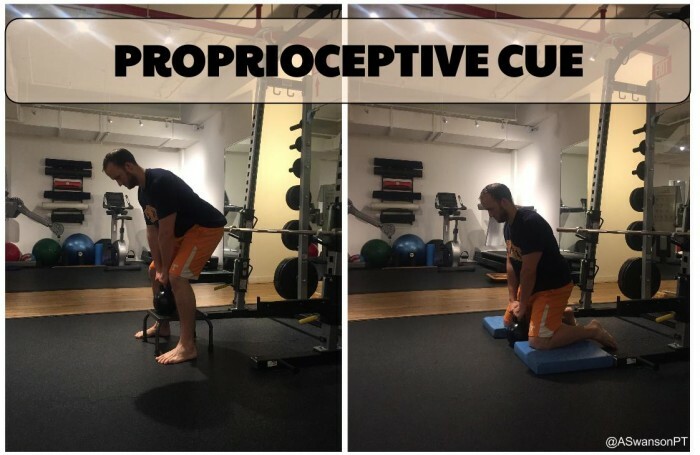 Proprioceptive cues are very common in both rehab and training (whether the practitioner knows it or not). It’s a common sense type of approach that can have more profound effects than any other sensory change. 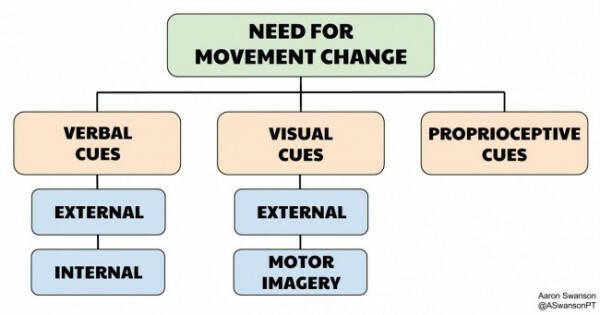 These proprioceptive cues can be divided into MANY different sub-categories. A Proprioceptive Cue by altering the posture and changing the sensory input from the lower extremity. In the kneeling position there will be less influence from the tissues and joints below the knee. Which type of cue the patient needs depends on many factors. A greater understanding of each of these types of sensory changes will help one determine which one to use. Keep the overall goal in mind and match your desired outcome to they type of cueing. And remember, if someone isn’t performing a movement correctly despite your coaching/cueing, you either need a different sensory change or a different exercise.